Designed with one or two pick & place feeders, this machine has a great flexibility. Indeed it can insert, place and glue all types of rigid and supple elements (pre-cut or from roll) onto carriers or carton boards. 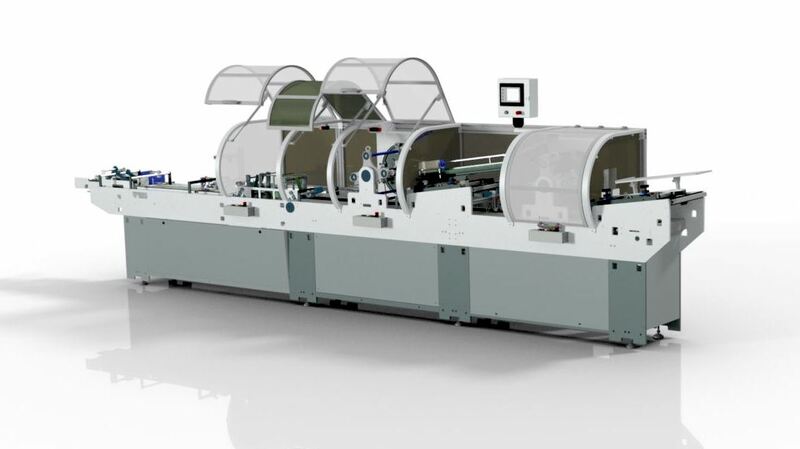 The machine includes also a folding and gluing station in line. The adjustable friction feeder of the Turbomailing, designed with a double brushless motorisation, allows a controlled and precise product spacing. Versatile, this equipment can feed many different elements (carton boards, leaflets, carriers, etc.). Add a camera monitoring system to guarantee a reliable and precise quality control of the products.